Parampara! What, you don't speak Hindi? Parampara is Tradition in the Hindi language. 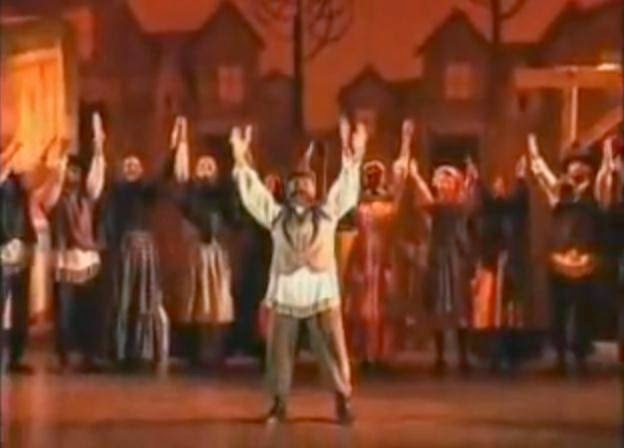 As we continue to collect videos of international productions of Fiddler on the Roof in its 50th year, we came across an Indian version of the now classsic production that made its debut in New York City in 1964. “The character is so universal, he could be an Indian for all that it matters,” said Rakesh Gupta, the 48-year-old civil servant who plays Tevye in the production. The issues facing the play’s protagonist are of enormous importance in India, a nation where most marriages are still arranged, where families commonly save for their entire lives to afford dowries, and where many communities still place taboos on interfaith and intercaste marriages.